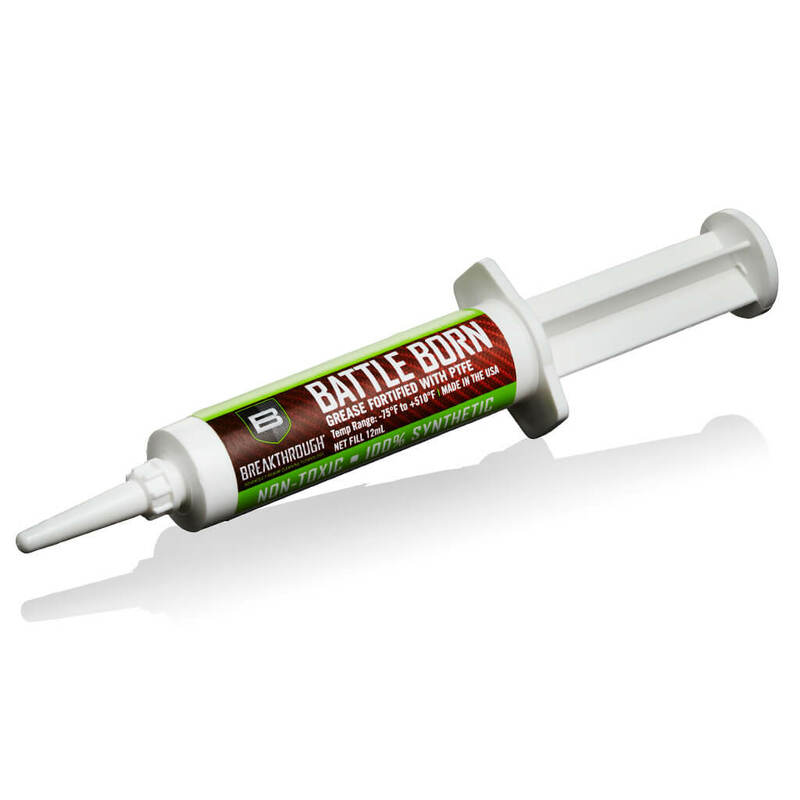 Battle Born Grease represents some of the most advanced lubricant technology. It is a versatile, premium quality, synthetic grease fortified with Sub-Micron size PTFE. Blended completely with pure synthetic base oils, additives and shear stable thickeners to provide maximum firearm protection in extremely high and low temperatures (Operating Range -75° to +510°F). Wide temperature range · Non-melting · Non-flammable · Water and steam resistant · Reduces friction and wear · Non-toxic · Low odor · Non-staining · 100% Synthetic.